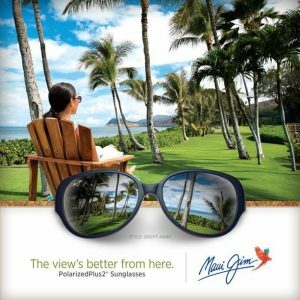 in the UK or lucky enough to be jet setting off to warmer climates this winter, Maui Jim is a brand you should consider. sun. This allows your eyes to stay relaxed, reducing squinting, eye fatigue and wrinkles around the eyes. protection from harmful UV rays, they have earned the Skin Cancer Foundation seal of recommendation. Call in to either Practice to view the current range available.